Love it or loathe it, Peking Opera is recognized as an essential part of traditional Chinese culture. But its popularity has waned over the past few decades. In China’s east port city of Qingdao, elementary school students have been offered a chance to breathe new life in the old tradition. Traditional costumes, fluid movements, and skillful singing. 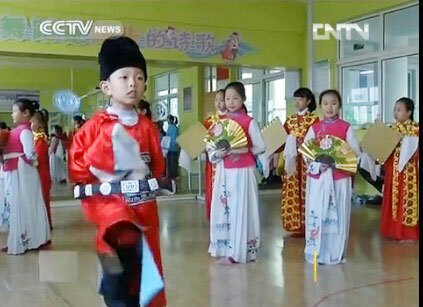 The children look like that they come from a professional Peking Opera troupe. But they are just ordinary students enrolled in a weekly after-school activity. And they are anything but shy in front of the camera.